Introducing My Personal DIY Guide To Making Delicious Herbal Coffees! 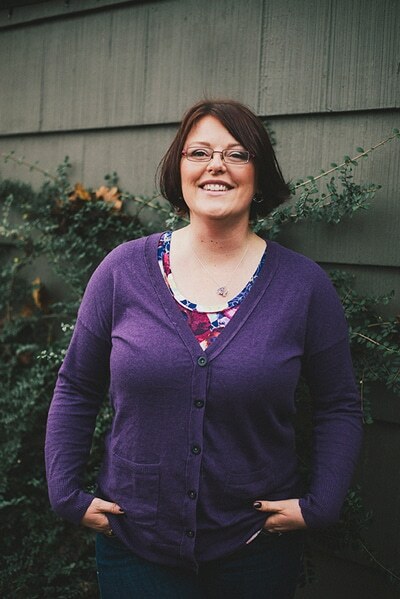 My name is Jessica and I’m a Certified Nutritional Therapist, Mind Body Nutrition Coach, and founder of the Delicious Obsessions Website and Community. Back in 2014, I had started selling a highly unique line of herbal coffee substitutes on Etsy. These were buyers who were looking for a healthy alternative to regular coffee…but didn’t want to sacrifice taste. Also, they were looking for something that tasted great and was loaded with health benefits such as digestive and liver support, as well as stress reduction for the body as a whole. And that’s exactly what my line of herbal coffee substitutes did. I couldn’t keep them in stock. And I knew the popularity was only going to EXPLODE. Why? It was simple. I didn’t want to mess with all the very strict FDA labeling issues. You’d be amazed at all the hoops one has to hop through in order to get proper labeling approval with the FDA. To me, it was just too much so after a lot of contemplation, I ended making these highly popular herbal coffee substitutes. When I announced the news to my buyers that the online store would close…they were devastated. But I knew that I had to keep this unique line of herbal coffees alive…but I wasn’t sure how. Then I thought to myself, why not just release ONE COMPREHENSIVE GUIDE that would reveal all my unique recipes, blends, herbs used, step-by-step techniques, and more so those who loved the herbal coffees before could make them from home? I’ll put an end to the, is coffee “bad for you” vs. “good for you” debate once and for all. You’ll be shocked at what I have to say! 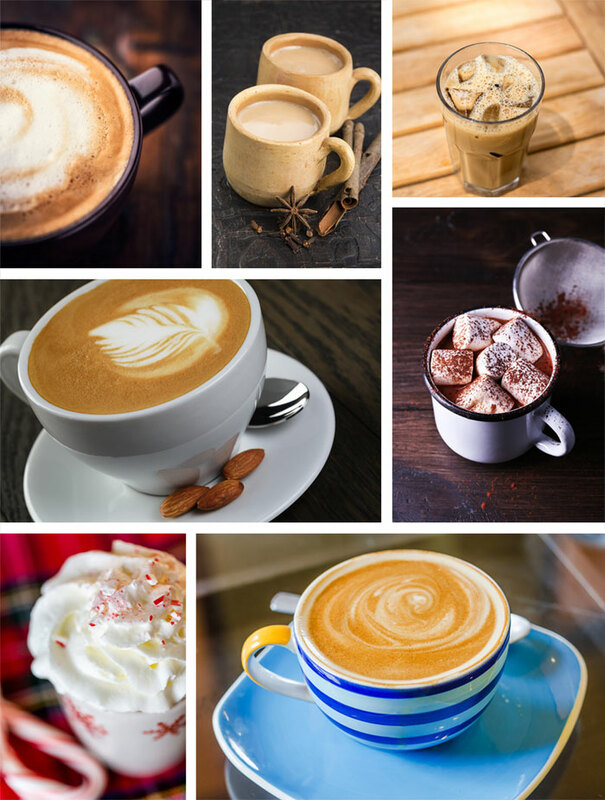 Discover some of the healthiest replacements for coffee on the planet that you’ll love to drink every single day…and get great benefits from as well! Find out how some of the most powerful ingredients found in nature such as Chicory Root can have a HUGE impact on your overall health! Want to learn how to brew the most perfect cup of herbal coffee? I’ll show my tried-and-tested tips and secrets that work like a charm every single time! Never have a bad cup of herbal coffee again! Discover a comprehensive list of resources for herbs, supplies, and even more further health and resources that have been personally selected by me! This are a MUST read! You’ll discover all the information above and so much more in my personal “how to” guide created just for you! Over 50 pages of “no fluff” and “no filler”…only the best advice, recipes, blends and more you want the most! Well, a lot less than you might think. If you were to go out and purchase these unique blends of herbal coffee and have them shipped to you, your overall order cost would easily be around $50. If you were lucky enough to find a great coffee shop that sells these blends fresh, you could easily pay $5 per CUP. That’s IF you could find them. Which most likely you will not since these recipes are MY PERSONAL CREATIONS that once sold like hotcakes on my online Etsy shop. You’ll Get INSTANT ACCESS To This Complete Ebook Right After Your Safe & Secure Order! 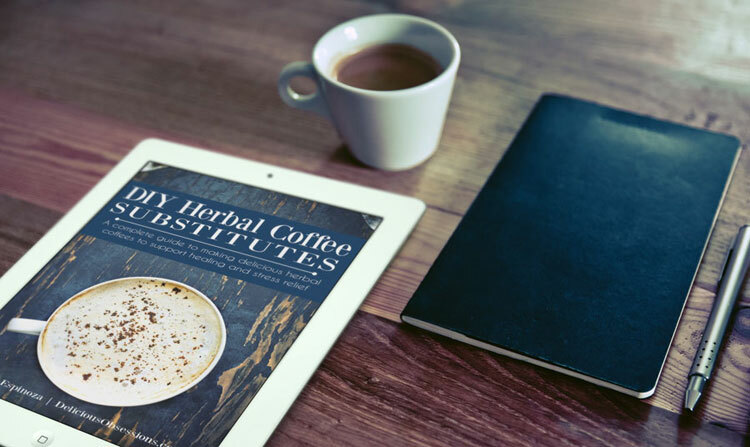 I know that once you dive into this amazing guide, you’re going to discover a WIDE variety of herbal coffee blends that will taste out-of-this-world great…AND will also be good for you! Now you don’t have to sacrifice taste for health. 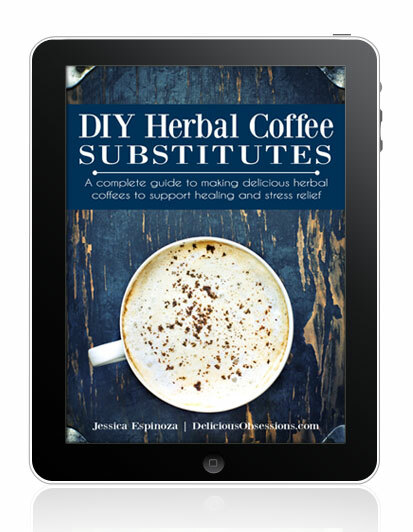 In the DIY Herbal Coffee Substitutes ebook I’ll give you EXCLUSIVE access to all my “top secret” recipes that have been in high demand! I hope you enjoy the guide! P.S. Remember, this guide contains the EXACT healthy recipes and blends that customers where going crazy for when I sold them on my Etsy store. Now you can make them on your own time, and save even more money! Get the guide here. Affiliates: Apply for our affiliate program here. I’m considering purchasing your book. Do your recipes include sugar and/or dairy products? Are the recipes free of barley? I have to stay away from anything with the potential of gluten for getting my fertility back on track. Hi Karen! Yes, barley free! The only thing I use are herbs — no grains, no gluten. That is one of the primary reasons I started making my own actually. Most of the coffee subs on the market are derived from barley and even though they are marked as “gluten free”, they can still contain a certain parts per million of gluten. Hello, my question is are all or some of your recipes caffeine free? And do you have a recipe for corn coffee. I will be ordering this e-book as soon as I receive your info. I would love to get your book, but I don’t do well with ebooks. I want to turn real book pages. Is this available in paperback? Hi Jan – Thanks for stopping by! It is not available as a print book, but when you purchase the digital version it will be in PDF format and will print out perfectly if you choose to print it yourself. Hope that helps! How accessible and what is the general price range of the herbs called for in the “herbal blend” recipes? Thank youj. Hi Nancy! Thanks for stopping by! The herbs are all readily available online. Your local health food stores may carry some of them as well. The prices are going to vary depending on how much you buy at a time (the more you buy, the cheaper the per ounce cost). I get all of my herbs from Mountain Rose Herbs, but you can also price check Frontier, Starwest Botanicals, and even Amazon. Hope that helps! Are any of the recipes chicory and dandelion free? I can take have either. Are your recipes gluten free I am celiac and don’t want to buy the book unless they are… I hope they are gf your book sounds wonderful!